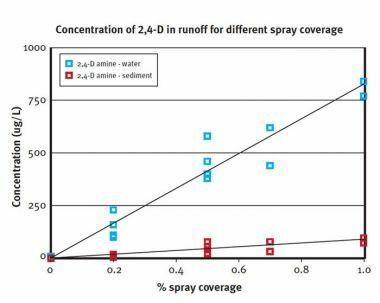 Precision application (band spray) will reduce the losses in runoff if a storm occurs. 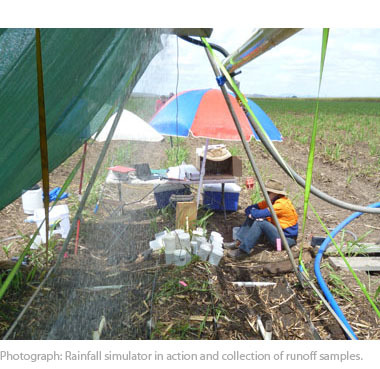 Choice of herbicides, and application rates and technologies, provide a wide range of management options for sugarcane growers to control runoff water quality. Weeds are a major contributing factor to losses in both production and profits for the sugarcane industry. Although minimum tillage and green cane trash blanketing are considered best practice management in sugarcane, no trash is available for plant cane. In addition, in the Burdekin, bare soil is maintained to allow furrow irrigation. As a result, there are concerns about herbicides being transported to the Great Barrier Reef. Monitoring indicates frequent losses of herbicides in runoff from cane fields in the Burdekin (Davis et al. 2012). 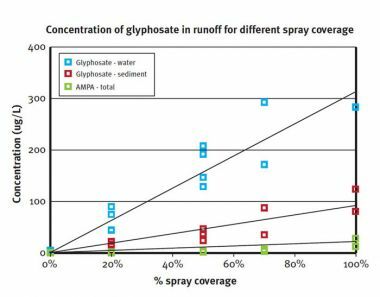 Reducing the use of photosystem inhibiting (PSII) residual herbicides, such as atrazine, diuron, hexazinone and ametryn, and using alternatives such as knockdown herbicides as part of an integrated weed management strategy are considered best practice (Rolfe et al. 2007). 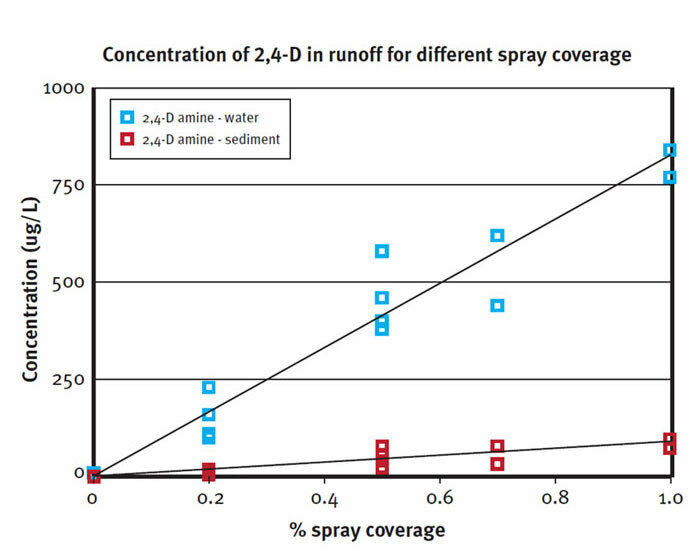 Precision application (band spray) is also suggested as an improved practice and can provide large cost savings. This project measured the amount of herbicides lost in runoff from a standard rain storm applied with a rainfall simulator. This study was undertaken on a sugarcane field with recently emerged ratoon cane. The site had a clay soil (Vertosol), low slope, no groundcover of trash and no weeds. no coverage (0 per cent coverage). 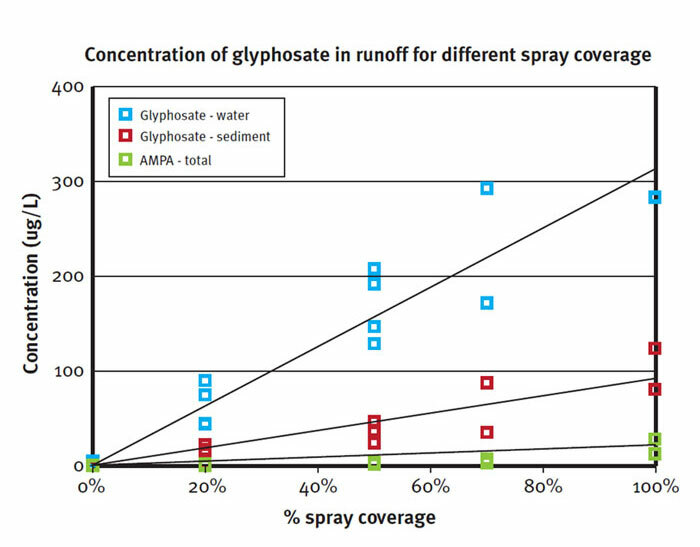 Rainfall was applied at 80 millimetres per hour for 40 minutes, one to two days after herbicide application. Two to four plots of each treatment had rainfall applied using a rainfall simulator. Image: Rainfall simulator in action and collection of runoff samples. band spraying reduced the herbicide load on the weeds and soil - 50 per cent spray coverage resulted in half the herbicide load on the field. herbicides transported in sediment are easier to manage than those transported in water through the use of trash blanketing, recycling pits and grass filters etc. 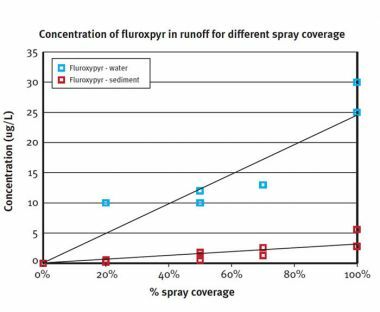 AMPA, a metabolite (breakdown product) of glyphosate, ran off at concentrations less than 10 per cent of the parent glyphosate, about equal to those of fluroxypyr. Avoid spraying when rainfall is forecast. Spray earlier, before the wet season, or when the risk of rainfall is lower (see First 20 days after herbicide application is critical for runoff in the Mackay Whitsunday region case study). 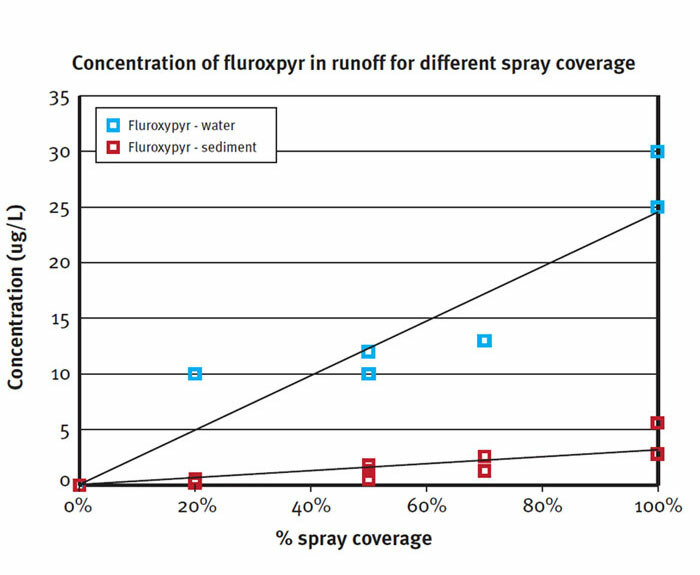 Use banded applications for the more runoff prone residual herbicides. Retain cane trash (see Comparing runoff loss of knockdown and residual herbicides in the Herbert catchment case study). Use an integrated weed management program and do not allow problem weeds to build up. Mark Silburn and Samuel Rojas-Ponce (Queensland Government Department of Natural Resources and Mines); Emilie Fillols and Dave Olsen (BSES); Jack McHugh and Craig Baillie (National Centre for Engineering in Agriculture, University of Southern Queensland); Stephen Lewis and Aaron Davis (Tropwater, James Cook University). Davis AM, Thorburn PJ, Lewis SE, Bainbridge ZT, Attard SJ, Milla R, Brodie J (2012). Herbicide run-off dynamics of furrow irrigated sugarcane farms and associated drainage systems on the Burdekin River Floodplain, north-eastern Australia. Agric. Ecosys. Environ. doi:10.1016/j.agee.2011.06.019. Rolfe J, Wake J, Higham W, Windle J (2007). Effectiveness of Best Management Practices for Water Quality in GBR Catchments: Sugar Cane in the Mackay Region. Institute for Sustainable Regional Development (ISRD), University of Central Queensland, Rockhampton.